With the culture of work moving towards being behind a desk for 8 hours daily, comfort becomes a huge factor in trying to get everybody through their work day. 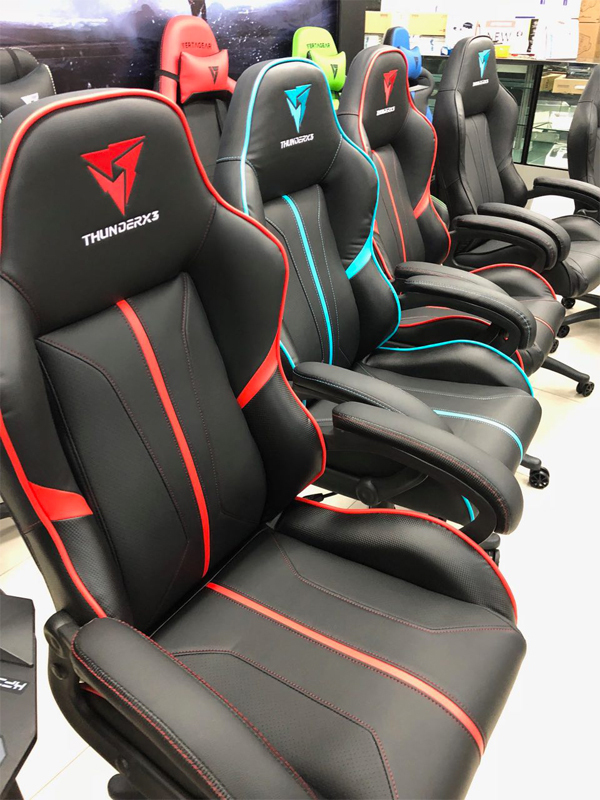 This is why Concepts Computer is happy to introduce affordable gaming chairs from Aerocool ThunderX3 into the Bruneian market. These gaming chairs are not only for the avid gamers on a budget, but because it is so affordable, everyday office workers can bring in these very comfortable chairs into their workplace as well. The Aerocool ThunderX3 BC1 gaming chairs are for comfort and support, with a minimalist style that can appeal in either working or gaming environments. Equipped with high-end AIR Technology that helps create better breathability, these chairs can now provide a cool and refreshing experience, even during long gaming sessions. 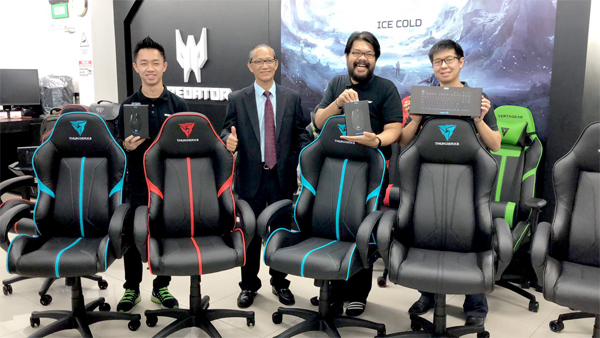 The Aerocool ThunderX3 BC1 gaming chairs are also made with exacting standards, and the level of comfort and refinement which they offer is unrivalled amongst other affordable computer gaming chairs available in the local Bruneian market. These chairs which were originally conceived to heighten computer gaming experience, will also be the equipment of choice for comfort and ease when working at the office, relaxing at home while watching a movie or getting into a game, as you’ve never experienced in front of a computer before. Three colours will be available of the ThunderX3 BC1 from Concepts Computer; Cyan on Black, Red on Black, or all Black. These chairs will be available for $250 during the Hari Raya celebrations, with usual price being $275, and will come with 1 year warranty. Aerocool ThunderX3 BC1 gaming chairs are now on a promotional price of BND 250 (usual price is BND 275). Comes with one year warranty. Purchase-With-Purchase promo for our Logitech Pro gaming mouse and Pro gaming keyboard with a 10% discount. 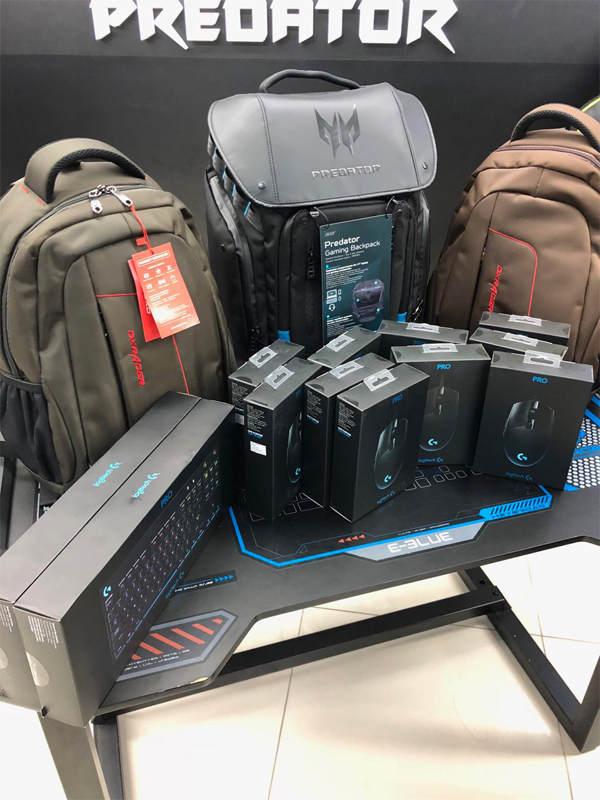 During this Hari Raya period, we also have a Purchase-With-Purchase promo for our Logitech Pro gaming mouse and Pro gaming keyboard (worth $118 and $218 respectively), where every purchase of the Aerocool ThunderX3 BC1 entitles the customer to 10% discount, $106 and $196 respectively under Purchase-WithPurchase promo. A huge range of Gaming Chairs are available at Concepts Computer including Aerocool and many other brands, demo units are also on stand-by for customers to try. Any enquiries regarding their products and services, please call 2233551, 2233552 or 2233553, or visit your nearest Concepts Computer retail outlet.